This year the first New Moon of 2017 is at 08° 15′ Aquarius on 27 January 2017, 04:07 PM PST. Aquarius is one of the three trans-personal signs (Capricorn, Aquarius and Pisces) who are charged with helping us understand the big picture. 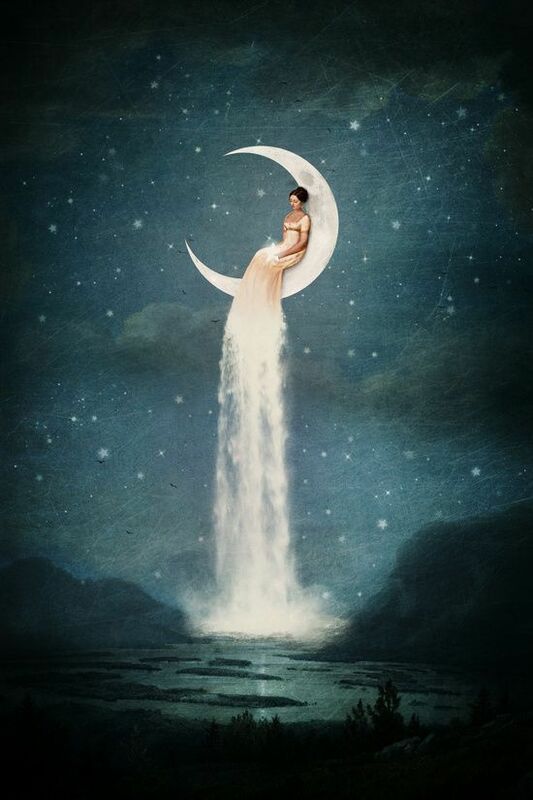 This New Moon connects Aquarius and Pisces via a semi-sextile between the luminaries in Aquarius and Neptune in Pisces. We can either dive into deepest denial or open our hearts and minds to compassionate inclusion . . . it is our choice as beings with free will. In traditional astrology Aquarius was ruled by Saturn though after Uranus was discovered, it was assigned to Aquarius and now most astrologers use Uranus as Aquarius’s ruler. Interestingly enough, Saturn in Sagittarius and Uranus in Aries are trine now, connecting the two planets associated with Aquarius. In this instance, Saturn works well with Uranus and can inspire us to manifest our dreams through hard work. This trine will be in effect for most of this year which is something positive we can be grateful for. The closest aspect in this chart is a square between Venus in Pisces and Saturn in Sagittarius. Hard Venus-Saturn aspects are depressing and can seriously undermine Venus’s sense of self worth. Marrying for security reasons rather than love is one unhappy outcome. Unequal partnerships where one person is much, much older than the other or from a very different socioeconomic background are other examples. Jupiter in Libra is still closely sextile Saturn in Sagittarius and is inconjunct Venus in Pisces. The Jupiter-Saturn sextile is a winner all the way around, and perhaps Jupiter in Venus ruled Libra can persuade Saturn to lighten up on Venus in Pisces. Venus is exalted in empathetic Pisces and has quite a few resources in her gentle, subtle way. She excels in the fine art of yielding to get her way. Be kind and loving in your relationships now because they may need a little extra TLC. Acting alone is Mars who will leave Pisces for his home base of Aries a few hours after the New Moon. Whatever loose ends that are not taken care before Mars leaps into Aries could be left behind and forgotten. Mars in Aries is only concerned with what lies ahead and reaching his goals as directly as possible. Mercury is on the verge on conjoining Pluto in Capricorn on the New Moon (exact on January 29), increasing the power and purpose of this pragmatic Mercury. If you have plans you would like to present to the powers that be in the days following the New Moon, draw on this laser sharp focus to go over those plans in depth for a clean, tight presentation. Like it or not, this New Moon in Aquarius reminds us we are all citizens of the World tied together by a very Aquarian entity . . . the Internet. Communication between individuals and nations happens almost instantly now. We befriend people on Facebook we may never meet face to face but still feel a real connection with due to shared interests. It is time to celebrate diversity rather than denigrate it on this Aquarius New Moon. Peace and Love to all.